Looking for used car deals? If so, then you are at the right place. 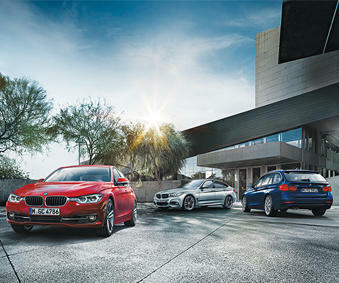 Budds’ BMW Oakville offers an expansive inventory of used cars with exceptional deals. Up until a few years ago, a majority of car buyers would go for a new vehicle because of the reliability, efficiency and performance. However, in recent times there has been an increase in the number of people buying used cars. With certified pre-owned and first-owner vehicles entering the market, ‘used’ cars are no longer considered a risky purchase. This is because you technically purchase a year old model at a reasonable price, minus the worry of the car depreciating. Therefore, buying used cars is more sensible than ever. More people are also jumping on the ‘used’ bandwagon due to various factors like increasing prices of new cars, budgetary constraints, and lack of availability of favorite cars. Why Choose Budds’ BMW Oakville? Looking to find a good deal on a used car? If so, you are in the right place. Budds’ BMW Oakville offers a huge inventory of used cars, guaranteeing 100% customer satisfaction. Each of the used vehicles in our inventory are certified pre-owned or first-owner vehicles. This ensures they have been driven a few thousand miles, at the most, and offer reliability, value, efficiency, and performance. Since each of the used cars on our list also undergoes a thorough inspection process to meet BMW’s strict standards of quality and performance, you do not have to worry about your car causing trouble or breaking down. We also offer deals and special offers to customers. We also offer certification warranty and roadside assistance with your vehicle purchase. This takes the worry out of purchasing ‘used’ for safety-conscious buyers. All of Budds’ BMW Oakville’s vehicles come with a Car Proof Vehicle History Report. This gives you all the information you need regarding the vehicle. Contact Us Today Leverage Budds’ Used Car Deals In Oakville! If you are planning to purchase a used car and avail exceptional deals, do not hesitate to explore BMW Oakville’s large inventory! For more information about our used car deals. You can even drop by our dealership to take your favorite vehicle out for a test drive or chat with one of our customer representatives regarding your purchase.